I start in race one, with HEATHER HONEY for Simon Morrish. Her last two starts she has finished second. She has come with a favourable barrier draw, is up in trip and this looks like a race she can start her winning ways. ROYAL APPLAUSE is my ride in race two, for Symon Wilde. 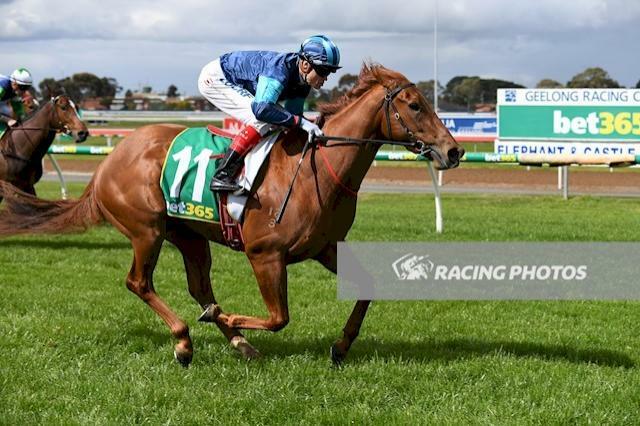 If you can forgive her last run, she has been very consistent at her prior three starts – winning at Warrnambool, then spelling and coming back and running two seconds. On one of those occasions she was beaten by a horse called Ruthven who subsequently went on and ran second in the Sandown Guineas. She has an inside barrier, out to the 1600m which has seen her successful before and if I can manage her speed she is one of the main chances. In race three, I ride FOUR CARAT for Chris Waller. He is stepping back in grade from his last two starts and one of those was in the Sandown Cup behind Qewy who ran fourth in the Melbourne Cup. He does have the impost of the top weight but with the minimum of 55kg it puts other horses close to him. He has come up with a favourable barrier draw and it looks like a suitable race for him to win. He hasn’t won for over a year so it would be nice to give him a confidence boost. PONTE ROMA is my ride in race four, for Robert Smerdon. She is resuming and has a change of footwear. Robert Smerdon is racing her in tips for the first time, which is a light bar across the front of their hoofs. She has a nice barrier draw, is ultra-consistent and will be well suited back in grade against the fillies. Race six, I ride LUNAR SPIN for John O’Shea & Godolphin. He was beaten by the track pattern last time at Pakenham but I loved his attitude where he was lovely and relaxed. He is now third up and if he parades relaxed he can win this. In race seven, I ride TICKED for John O’Shea & Godolphin. She is coming here after winning her maiden at Cranbourne. She was very solid late and now steps up in trip and has to contend with a wide barrier draw. It does look like it will be a competitive and solid run race which will hopefully spread them out which will make the draw a lot easier. I expect her to be closing off late. In the last race, race eight, I ride CAT’S WISH for David & Ben Hayes & Tom Dabernig. She is resuming and having her first run for the new stable. This is also her first start left handed as she has done all her racing up in NSW. She has very solid form and is always competitive. She has a gear change, putting the one-eyed blinker on her. She can sometimes be a bit nervous prior to her races so it will be interesting to see how she has trained on with the new stable and how she handles night racing. She has a middle draw that gives me options. In this competitive race, she is one of the main chances on her best form. I start in race one, with PRESSCOTT for Chris Waller and he wears the colours made famous by Winx. He has had two starts and then was spelled. He is resuming this preparation and he has had three trials leading into this first up run over 1600m. He also has the blinkers applied for the first time, has a favourable barrier draw in gate one and I expect him to show something today. STONE WARRIOR is my ride in race two, for Lee & Anthony Freedman in the OTI colours. He is only lightly raced and has been placed in half of his runs and has shown good ability and has run into some strong opposition. He is first up today and his best runs have been when fresh. He has trialled nicely at Cranbourne, has drawn a nice middle barrier and I feel looking at his races he appreciates having room and racing on the outside of horses. If he puts it together, he will be winning this maiden. In race four, I ride KING OF ENGLAND for Robert Smerdon and Waratah Thoroughbreds. He is having his second run up to this extended trip. He ran very well on a firm track from an outside barrier last time and feel he only has one horse to contend with and that is Dreaded (2) which only beat him home by a nose last time and I meet him one kilo better off. It is only a small field and it will be a lot more tactical than last start. This horse is going very well and if he puts it together he will be winning this race. LA SPECIALE is my ride in race six, for David & Ben Hayes & Tom Dabernig for Darby Racing. She is a lightly raced 5yo mare which excellent credentials as she has only missed the place on one occasion. She is resuming and for a new stable and having her first go left handed. On her form, she is the one they all have to beat. The rail is in the true position so it will be interesting to see how it plays. My horses have drawn wide so it wouldn’t be a disadvantage if it races normal where horses can swoop and make their runs wide and away from the rail. I start in race two, with BANDIPUR for John O’Shea & Godolphin. He looks like a very professional Commands colt. In his official barrier trial, he had good speed and won impressively. He has also galloped at Moonee Valley to give him a good look at the track. He has come up with an outside barrier draw and having his debut run he will need a bit of luck from there. If he has luck from the draw he looks good enough to win this competitive race. VERY CHOOSY is my ride in race three, for Robert Smerdon. She has won twice at the distance. She has had two first up runs for two wins and she has also won at the track. She is resuming this preparation and has great stats first up at this track and distance. I did work her at Sandown leading into this and was very pleased the way she felt. She is an on-pace mare who has great tactical speed and is one of the main chances in this small and select field especially as she has the minimum of 54kg in the race. In race six, I ride DULVERTON for Robert Smerdon and Qatar Bloodstock. She is coming back from her last three starts at Group 3 level to a Benchmark 84 contest at a distance she likes and a track that she races well at. She has come up with an inside barrier draw but she is usually a get back run on mare. If she is able to utilise that draw and with being only 2.5kgs off the minimum she is one of the main chances. BOOM TIME is my ride in race seven, for David & Ben Hayes & Tom Dabernig. He has two runs for the stable for excellent performances. He was impressive winning last time of the Flemington carnival where we had to ride him back from an outside draw. Again, he has come up with a wide barrier draw, goes up in distance and he has competed very well at Moonee Valley at his previous preparation. I expect him to be one of the horses flashing home late in this race, which is in preparation for an upcoming Magic Millions assignment. Race eight, I ride BULLPIT for Danny O’Brien. He hasn’t been getting beaten far in his three runs this preparation. He is a very good sprinter, has run well at the Valley before but unfortunately he has come up with a wide barrier draw. There is a lot of pressure and it will be interesting to see what my instructions are as they will be going very quick in this. In the last race, race nine, I ride BROCKHOFF for Ciaron Maher and races in Colin McKenna’s colours. He has come up with a favourable barrier draw. He is an on-pace horse stepping up in trip. He has had three runs at the track and never missed a place. When he competed at this course and distance last time as a 3yo he was beaten by a subsequent Group 1 winner in Holler so he has excellent form. He is going great this preparation and is only half a kilo off the minimum and is going to take a lot of running down. I start in race one, with PEARL CONGENIAL for Robert Smerdon and she carries the Pearl Bloodstock colours made famous by Dunaden. She was a very speedy 2yo who failed to come up last preparation. She is resuming and I’m looking forward to when she steps into the yard to see how much she has grown. On her best form, she can break her maiden status. KISS THE STARS is my ride in race seven, for Robert Smerdon and Waratah Thoroughbreds. He started his racing career in Japan and is typical of a Japanese horses being tough and solid. His last two starts have been very competitive with one of those being at this course and distance. The rail is out 7m and by this time we will know the pattern. If there is no disadvantage to be away from the rail his wide draw shouldn’t pose any problem. This is a very even and competitive race but he is clearly one of the main chances. I start in race two, with DANCING HARE for Lee & Anthony Freedman. She is a first starter by Fastnet Rock who has trialled nicely at the official trials at Cranbourne. She has come up with an outside barrier draw and she looks a really nice filly that can win on debut. PORTMAN is my ride in race three, for Danny O’Brien and Qatar Bloodstock. He hasn’t raced since February and he comes into this gelded and with the blinkers off. He is a horse I’ve always had a high opinion of and the horses that have beaten him at his three starts have all gone on to win Stakes races. It is a bit short of his best trip but I expect him to be hitting the line hard and hopefully kick his campaign off on a wining way. In race five, I ride GAGOSIAN for Lee & Anthony Freedman. He’s second up this preparation and his only other second up run resulted in his only victory. He did close off last start but this is a different race as he goes up in trip, has drawn an inside barrier and there looks to be no pressure up front. It will be interesting to see what Lee & Anthony want me to do from the good draw. All going well I will be disappointed if he doesn’t make it two from two second up. SOLID ROD is my ride in race six, for Lee & Anthony Freedman. His only win was his first race start and he resuming. He has trialled nicely at Cranbourne coming into this, he has the blinkers off and in this even race if he finds his first up form he is one of the chances. I start in race one, with HOT SEAT for Brian McKnight. The rain overnight will enhance his chances as he won on debut on a Heavy 8 and has only contested on soft ground. He has won one for two starts and resumes today. He has barrier one and races on speed and although this a small field it is an extremely competitive event. SO BELLE is my ride in race four, for David & Ben Hayes & Tom Dabernig. She looked like she was dropping out last time when she stepped up in trip but closed the race off extremely well after having an economical run. She is stepping up in trip and does have to contend with an outside barrier draw but the way she closed off this So You Think filly looks like she will appreciate the step up in trip. It is a maiden and if she has come on from her last run, she will be one of the main chances. In race five, I ride SISTINE SPIRIT for Andrew Noblet. She has won at the course and distance. She has come up with a favourable barrier draw and is racing in good form this preparation. I expect her to be competitive again. CHAMPAGNE READY is my ride in race six, for Chris Waller. She is having the blinkers on for the first time, is back in trip and even though it is still a Benchmark 70 which she competed in last start, it is a lot weaker than competing over the Flemington carnival. Her only win I won on her at this course and distance on a Soft rated 5. I expect her to be winning her second race. In the last race, race eight, I ride SAVATONE for Danny O’Brien. If the track is really soft or Heavy it will enhance his chances as I have won on him on a Heavy 8. He is first up and so far, he has won one of two runs first up. If the stable is confident, gets luck in running and conditions to suit he will definitely make his presence felt. I start in race five, the Placid Ark Stakes, with LEITFADEN for Daniel Morton. She is lightly raced, very consistent and stepping back in trip is going to suit her. The stable is delighted the way she has galloped coming into this race and she gets in on the minimum with the special weight conditions. She is a major player in this very competitive Listed race. LUSAHA is my ride in race seven, the WA Guineas, for Daniel Morton. He is a tough on pacer stepping up to the distance for the first time, drawn a nice middle gate and he looks solid enough to be one of the major players in this Group 2 event. In race eight, the Railway Stakes I ride HE OR SHE for David & Ben Hayes & Tom Dabernig. He originally started his racing over in Perth where he has been successful six times at this course and three at the course/distance. This preparation has been excellent and all at Group 1 level including behind superstar Winx. He does have to contend with the outside barrier draw but in this very even race he is definitely one of the winning chances. I start in race one, with KOTINOS for Robert Smerdon. He is on debut who is a nice speedy type who has come up with a favourable barrier draw. I have trialled him coming into this and he gave me a feeling that he would be very competitive at his first race start. QUEEN OF KANDY is my ride in race two, for Robert Smerdon. She has only had the one race start and steps up sharply in trip and has come up with a favourable barrier draw. It is not a strong race and if she has come on and suited by the trip she can be competitive. In race five, I ride ASTLEY for John O’Shea & Godolphin. He has been a very consistent colt since coming down to Melbourne for this preparation. He has come up with a nice barrier draw and should get a lot of favours from there and be hard to beat. FILLE CHAMPAGNE is my ride in race six, for Pat Hyland. Since Pat has put the blinkers on there has been a sharp improvement in form where she has been ultra-consistent bar her one blemish when she stepped up to Group 3 level. She makes her own luck and is one of the main chances in this competitive race. Race seven, I ride POPOVICH for Robert Smerdon and Price Bloodstock. He started his career with two impressive wins and then stepped up to Group 3 company and has had a long layoff since. I have trialled him and he has gone extremely well coming into this event. He is a horse that usually begins slowly so it will be important that I can get him away cleanly. If he has luck in running, he is clearly the class horse in this race. In the last race, race eight, I ride LUNAR SPIN for John O’Shea & Godolphin. He started off this preparation with a nice run. He is now second up, has a nice barrier, steps to a distance he has won at and has won at the track. He will be very competitive in this even contest. I start in race four, with THE TINKER for Byron Cozamanis. He’s had one start at the course and distance and finished third. His statistics at the distance are solid and he’s coming to a very even contest. He does get a bit keen in his races so subject to how the race is run, hopefully he runs well for me and I can get him nice and relaxed throughout. I know he is a solid horse to close the race off. SAVAJU is my ride in race five, for Shaun Dwyer. She backed up her solid trial with a win first up at her home track of Bendigo on Heavy ground. She then stepped up to Group 3 company and closed off nicely. She now drops back in grade but this is still a very competitive race especially with those horses at the top of the weights. She has come up with a nice barrier draw and expect her to be very competitive. I start in race one, the Merson Cooper Stakes, with MALZOOM for David & Ben Hayes & Tom Dabernig. He is a first starter Stratum colt who has trialled nicely unofficially at Flemington. If he handles the day, he looks like a horse with good ability. REDKIRK WARRIOR is my ride in race two, the Sandown Stakes, for David & Ben Hayes & Tom Dabernig. He had very strong form references in Hong Kong. He’s now returned to Australia after a long lay off and resumed with an eye catching second. He has had a setback going into this as he was meant to run on the last day of the Flemington carnival. I assume all has gone well since, with him running here. On his great ability and with no weight he is the horse they have to beat. In race three, the Sandown Cup I ride BRING SOMETHING for Ken Keys. Qewy is the short priced favourite, who I finished fourth on in the Melbourne Cup and is the one they all have to beat. Apart from him it is a very even line up. Bring Something is fourth up this preparation, stays well and will be fighting out the placings. BULLPIT is my ride in race four, for Danny O’Brien. He has come up with an outside barrier draw, which suits him. He has won at the course and distance and has the minimum weight. I expect him to be there for a long way. Race five, the Twilight Glow Stakes, I ride ANGHARAD for John O’Shea & Godolphin. She has come with an outside barrier draw where we will need a little bit of luck but by that time of the day we will know if it is hard to make ground and favouring on pace runners. She is quite versatile as she was ridden on speed before coming down to Melbourne. She has run well at her two Melbourne runs. On her best form, she would be one of the main chances in this event. In race six, the Sandown Guineas I ride MORTON’S FORK for John O’Shea & Godolphin. I was very impressed with his second in the Carbine Club at Flemington. The winner had better acceleration at the top of the straight but I loved the way he kept fighting to the line. He gave me a feel of a horse that will be good enough to target races like the Guineas and Derby in the Sydney Autumn. He has pleased the stable since his last run and I believe he is the horse they all have to beat. SO SI BON is my ride in race seven, the Zipping Classic, for Robbie Laing. He is a 3yo taking on the older, seasoned horses. As it is Weight-For-Age he gets a handsome weight relief, and gets in with the lightweight of 50.5kg and gets 8.5kg relief off all his rival apart from Beautiful Romance where he gets 6.5kg. He does add intrigue into this race being a 3yo against his older rivals. 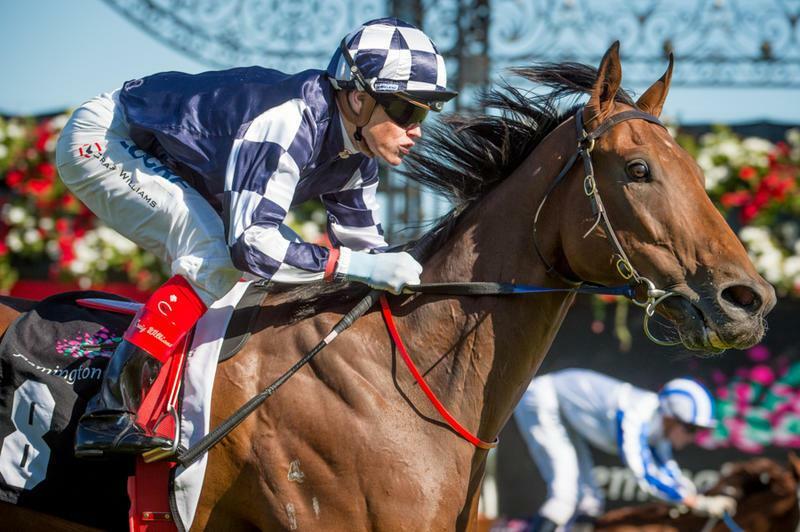 He has shown he has very good stamina as shown in his last start fourth in the VRC Derby and has quality when beaten less than two lengths in the Caulfield Guineas. He has come up with the outside barrier draw but there looks to be solid tempo and he is a main chance and I have no doubt he will measure up to this class. Race eight, the Kevin Heffernan Stakes, I ride SUPER CASH for Andrew Noblet. She was great in winning first up at Caulfield and then last time at Flemington she drew the inside and beat the horses on her side easily and I felt if she drew that outside she would have won. She does step to WFA and up in trip and has is a strong addition of the race with two Group 1 winners engaged. However, she will make her presence felt. In race nine, the Eclipse Stakes I ride JACQUINOT BAY for David & Ben Hayes & Tom Dabernig. He is an ultra-consistent war horse who has come up with a nice draw. There doesn’t look to be too much pressure so he should be able to make his own luck and he does race very well at the track. He is such an honest horse and I expect him to run well again. In the last race, race ten, the Summoned Stakes, I ride SILENT SEDITION for Andrew Noblet. She has been ultra-consistent this preparation without winning. She has come up with an outside barrier draw and does have to carry the topweight. We do have to turn the tables on Shillelagh (12) who beat us home last time and does meet us better on the weights. By the end of the day, we will have to work out what the tactics are but she is very versatile and does have tactical gate speed and can make her own luck or can come from behind. She is such a highly competitive mare with great ability and if we can get a touch of luck from the gate I expect her to be going very close to winning. I start in race two, with AUNTY MO for Brendan McCarthy. She has excellent statistics at the course and distance, she is an on-pace mare who makes her own luck. She has a tendency of always hanging out around the bends but once she straightens she has good acceleration. She will be one of the main chances in this small but competitive race. EXCLUSIVE LASS is my ride in race five, for Nigel Blackiston. She keeps coming up with outside barrier draws this whole preparation which has made it very awkward for her to get any favours in her runs. She is back in grade and she has been racing well. She has won at the track but will need some luck as it looks like she will be coming off the speed. There appears to be a lot of pressure in the race and with the rail out 7m I hope it is playing fairly and not an on-pace bias. In race six, I ride TURFANE for Saab Hasan. He is stepping back in class to a race he can definitely win. He goes up in trip but he is a backmarker so hopefully the race is run to suit that he can make ground. If that is the case, he is one of the main chances in this race. I start in race two, with HELMASKI for Robert Smerdon and Dalziel/Higgins Racing. Her two runs to date have seen her on the synthetic track and a Slow 5 at this venue. Tonight, she will go onto a firmer surface and gets the blinkers on. From a favourable barrier draw she should get every chance. KING OF ENGLAND is my ride in race three, for Robert Smerdon and Waratah Thoroughbreds. His form has been franked from his last start with the winner going onto win over the Flemington carnival. He is now third up this preparation after a long layoff. He has been racing really well but has also been 716 days since he won his last race. It would be great if he could breakthrough and get that much-needed confidence boost. I start in race one, the Maribyrnong Plate with INSTITUTION for Robert Smerdon and Ultra Thoroughbreds who is having his debut run. So far in the first three days over the carnival those drawn the inside in the straight races haven’t been suited so it looks like he is disadvantaged by his barrier. He does have good speed and he is a horse with a future. If he handles the day well he is going to make his presence felt. VERSTAPPEN is my ride in race four, the Hilton Stakes, for Danny O’Brien and Eales Racing. I was successful last time on him at Cranbourne. He is a beautiful looking horse, he has great ability but can sometimes become a bit amorous. If he handles the day well and can offset the wide draw he is going to take a lot of running down in this race. In race five, I ride BOOM TIME for David & Ben Hayes & Tom Dabernig. He had a long layoff but his trial and first up run showed that he is back to his best form. He has to offset a wide barrier but he is going very well and should be closing off well. JESSY BELLE is my ride in race six, the Matriarch Stakes for David & Ben Hayes & Tom Dabernig. She is stepping out for the first time to this trip, she has drawn a nice but I will be mindful how I ride her in an effort so she can run out the 2000m strongly. Race seven, the Emirates Stakes, I ride ENDLESS DRAMA for Chris Waller and Qatar Bloodstock for the first time. I’ve worked him since arriving in Australia and he has trialled up very impressively on soft ground at Cranbourne. I’ve also worked him at Moonee Valley and there was a lot to like. He is a massive horse, weighing 560kg but he has a very good motor. His form from Europe shows that all the horses that have beaten him and been competitive with him have been Group 1 horses. He has drawn a nice barrier, the flat track at Flemington will suit him and if there is any give in the track that will only benefit him. I expect him to be one of the main chances in this strong WFA race. I start in race one, with WHIRPOOL for Peter Morgan & Craig Widdison. She is third up this preparation looking like the step out in trip will suit her. Unfortunately, she has come up with an outside barrier draw in 18 in this big field and the rail has moved out three metres. If she has luck, she will be one of the horses finishing off as she has raced well here before. PORTION CONTROL is my ride in race two, for David & Ben Hayes & Tom Dabernig. I was successful on him in the Inglis Cup two starts ago at Caulfield and last time he was ridden into a position but he overraced. I thought he did well to stay on and get beaten less than three lengths. He has now come up with a more favourable barrier draw and with a truer run race I’d expect him to get a lovely run and be thereabouts at the end. In race three, the all greys race, I ride PEPPERANO down from Eagle Farm for Liam Birchley. She has been in excellent form this preparation as she hasn’t been out of the top two placings. She is coming off two solid wins, she makes her own luck, she has come up with a favourable barrier draw and she is going to take a lot of running down. VIOLENT SNOW is my ride in race four, for Jason Warren. She is coming off a last start win at Moonee Valley and she looks like she is in the right form to be competitive in this race. We will need a lot of luck as there doesn’t look like a lot of pressure up front and from the barrier draw I am assuming I will be asked to ride her quietly. If we are able to close the race off I expect her to be finishing hard. Race five, I ride WARRIOR OF JUSTICE for Archie Alexander. I like that this horse is back to his own age group, he has drawn favourably and if we did get rain throughout the day and track became affected he has good soft track form. He is one of the main chances in this open race. In race six, I ride AROD for Chris Waller and Qatar Bloodstock. He is resuming, having his first run back in Australia after disappointing last year when he was here. He has had a different preparation and is starting it off down in grade. If he has travelled over well and brings his European form he is the one they all have to run down. BULLPIT is my ride in race seven, for Danny O’Brien. This is his favourite course and distance but it is a competitive race. He started this preparation off at Moonee Valley with a nice run when he wasn’t beaten far but he now gets back to his superior track and I expect him to take a lot of running down. In the last race, race nine, I ride TWIST TOPS for Kris Lees. 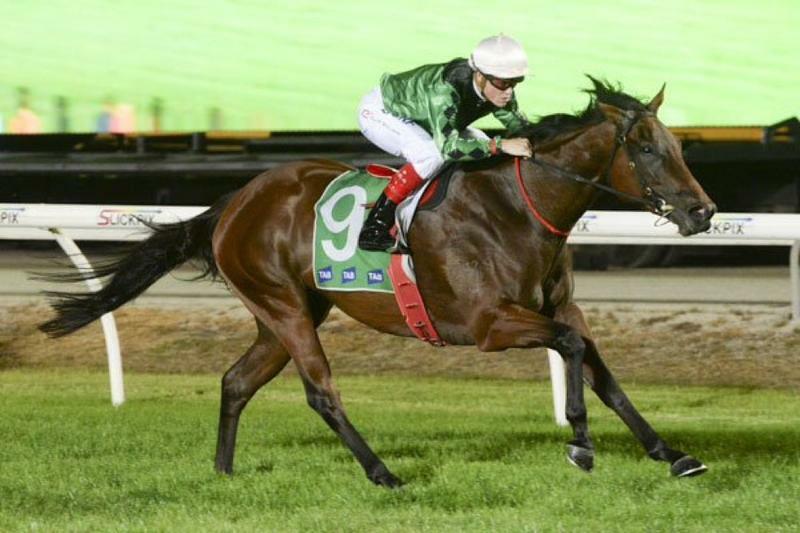 She is an ultra-competitive horse who comes into this race having her first run in Melbourne and down the straight. Kris has decided to take the blinkers off her. She’s an honest mare, she’s hard, she’s tough and she’s going to make her presence felt. The only reservation going into the meeting is the fact that she has drawn an inside barrier which has been a disadvantage in the first two days of the carnival as they have been winning down the outside in the straight races. 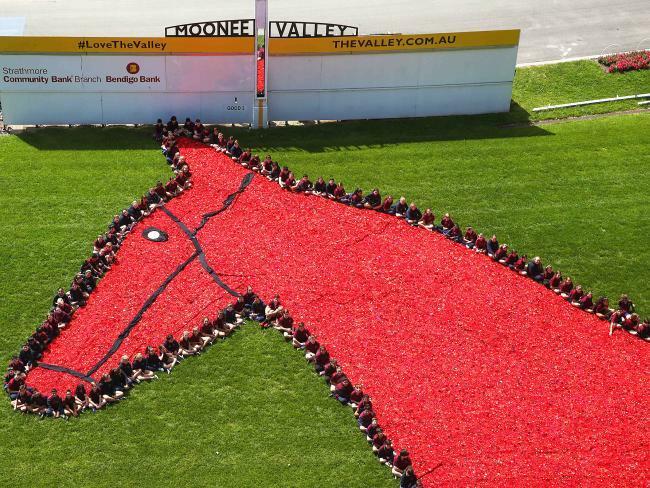 It’s Melbourne Cup Day – the day a race stops the nation. I start in race one, with MARGOT for Robert Smerdon. She has had one start and finished third at Bendigo where she drew the outside and had very good speed but hang out on the turn and in the straight. I would expect her to improve from that experience and unfortunately she has drawn an inside barrier so hopefully she doesn’t hang out down the straight. She is very speedy and we have drawn next to the favourite so we can follow the right horse providing she goes straight not right. TURFANE is my ride in race four, for Saab Hasan. I finished third on him last time and he is having a very quick back up. He has again drawn well on the very inside. He steps up in class but he continues to carry no weight and should get an economical run from the rails draw. In race five, I ride BIASED WITNESS for Robert Smerdon and Ultra Thoroughbreds. He closed off really well on debut and the form in his previous preparation has stood up well. He has trained on nicely since his first up run. He has come up with the extreme outside barrier, or stand side, which wasn’t a disadvantage on Saturday and if that’s the case again today, he is going to be the horse they all have to beat. FLYING JESS is my ride in race six, for John Moloney. I rode her last preparation before she won her Stakes race. She has come up with a very favourable barrier draw in gate one but she is usually slow out so I’m going to have to work on her to get her mind on the job so we can take advantage of the draw. She closed off really well last time and if we can be in a favourable position and get luck late she is going to make her presence felt. Race seven, the Melbourne Cup, I ride QEWY for Charlie Appleby and Godolphin. He will be wearing the Gold cap. He was a jumper over in England before his last two solid performances where he was narrowly denied victory. One was at Ascot over 4000m where he came from 19th position in the run and closed off to finish second. Then he went to Goodwood where he was narrowly denied victory again where he came from midfield. A horse that was defeated 7 lengths that day has since won the Bendigo Cup impressively. Qewy has arrived in Australia and had the traditional one race lead up into the Melbourne Cup when he was successful, taking up the running in a slow run race in the Geelong Cup. He is a very straight forward horse. I have many options coming up in barrier 15. He is an out and out stayer who is going to relish the distance with no weight on his back. If we have luck in running he is going to be there in the finish. In race eight, I ride TARQUIN for John O’Shea and Godolphin. He was narrowly beaten last time at Moonee Valley and now steps back in trip which looks like it should favour him. This race will be run at a very fast gallop. It is a quality field but Tarquin has no weight and a favourable barrier draw and will get all the favours for a long way. RUETTIGER is my ride in race nine, for Lee & Anthony Freedman. I was successful on him at this course and distance at the end of last season. He has since resumed and run well at Caulfield. He has come up with an inside barrier draw, has the minimum weight and I expect him to be winning. In the last race, race ten, I ride SILENT SEDITION for Andrew Noblet. 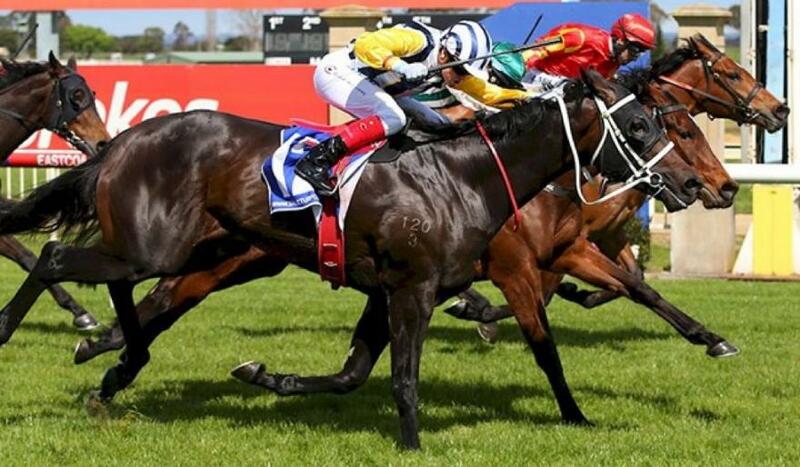 She was narrowly defeated by Sheidel on her resumption who has franked the form by winning a Group race on Derby Day. Silent Sedition has come up with a favourable draw and I expect her to get the run of the race and even though this a strong field I expect the opposition will have to take it off her. She is such a competitive and talented mare that I expect her to be able to hold them out to round out a nice day. I start in race one, the Carbine Club Stakes, with MORTON’S FORK for John O’Shea and Godolphin. He is an ultra-consistent horse that had his first Melbourne run last start on a day where the wind played a lot of havoc. He was unlucky and will be suited by the step up in trip and will be one of the main chances from a favourable barrier draw. TOFFEE NOSE is my ride in race two, the Wakeful Stakes, for Danny O’Brien. She is a maiden but apart from three horses it is a Class 1 race. It is still a competitive race and is used as a lead up to the Oaks. She will get an economical run from an inside barrier and should get every favour. In race three, the Sensis Stakes I ride SUPER CASH for Andrew Noblet. She was impressive first up this preparation and she has won second up at this course and distance. She has come up with barrier one so it will be interesting to see how the track is playing. Historically the fence is an advantage on the first day. She has galloped well coming into this race. She was scratched at the start last time as she was lame but I have been very happy with her action and gallops leading into this. She is a main chance in this extremely even race. BLACK TOMAHAWK is my ride in race four, the Lexus Stakes, for Darren Weir. He has been an ultra-competitive horse without winning. He hasn’t won for over a year. He does have to contend with some quality stayers who are trying to get into the Melbourne Cup. He has the blinkers on for the first time and has also had a freshen up coming into this race. He will need a little bit of luck from an outside draw but he is a solid stayer. Race six, the Myer Classic, I ride PURE PRIDE for Murray Johnson. She has been very competitive and flashing home late in her races. She is up in grade and her form around French Emotion bodes well for this event. She has come up with a nice middle barrier draw and is a get back run on horse. If she sees daylight and the race is run to suit she has a strong closing burst. In race seven, the Victoria Derby I ride HIGHLAD for Murray Baker & Andrew Forsman. He had two starts in New Zealand and was undefeated. Since arriving in Australia his races have been effected by mother nature and strong headwinds. He has the blinkers coming off as he overraced when he was tried to be ridden with a sit last time. Again, he has come up with a wide barrier draw. I have had a sit on him and he is a solid galloper but it is important I get him into a nice rhythm and that he doesn’t go too hard. All going well, he will take a lot of running down. HOPFGARTEN is my ride in race eight, the Cantala Stakes, for Robert Heatchcote. Even though this is a highly competitive race, I was delighted with his last start as he had no chance from where he was positioned and never got a clear crack at them until extremely late. This time he has come up with a great barrier draw, he is well weighted and I think he is one of the main chances. In the last race, race nine, I ride OCEAN EMBERS for Shea Eden. She is a mare of consistency. She has had a run down the straight at this meeting last year. Since then she has matured and put three wins beside her name. She is on the minimum weight, has an inside barrier draw and I expect she will hard to hold out. I start in race two, the Gothic Stakes, with TRENCHANT for John O’Shea and Godolphin. He had no luck last start and was never tested. He has come up with a favourable barrier draw and I expect him to be competitive. SUPER CASH is my ride in race three, the Alinghi Stakes, for Andrew Noblet. She was impressive on resumption winning at the course and distance. She has since trained on really well and derived a lot of confidence from winning last time. She has come up with a nice barrier draw in a very competitive race but the way she has come on, she can make it two from two this preparation. In race four, the Ethereal Stakes I ride SAVVAN for James Cummings. She won her last start when she had blinkers on for the first time. She was still a little bit keen in the run and she now steps up in trip, so I will have to manage her speed. This is her first run left handed and we have to negotiate a wide barrier draw. If I can overcome the barrier and she races kindly for me she is going to take a lot of running down. KENT is my ride in race five, the Ladbrokes Classic, John O’Shea and Godolphin. He was an eye catching run late at his last start at Flemington having his first run left handed. He did hang out the majority of the race until he got into the straight so I’m hoping he derives a lot from that experience and if he runs true and overcomes the wide draw, he will be finishing off well especially at the rise in trip which will suit him. Race six, the Coongy Cup, I ride MAURUS for Robert Smerdon and Waratah Thoroughbreds. I was delighted with his last start performance in the JRA Cup and I expect him to be, in what looks to be a very competitive race, to be the one they all have to beat. I do have to be mindful he has drawn wide and the chances are drawn favourably and they will be closer to the speed. If the track is playing well, he will be winning this. In race eight, the Caulfield Cup I ride REAL LOVE for Darren Weir. She comes into this race in good form, with a light weight and targeted for this race. All her runs this preparation have put her in line with Jameka and we meet her much more favourably on weights and the barrier draw. Jameka will be more forward and it doesn’t look like there is much pressure with Scottish likely to take up the lead so it will be interesting to see what my instructions are and how the track is playing which we’ll know by that time of the day. 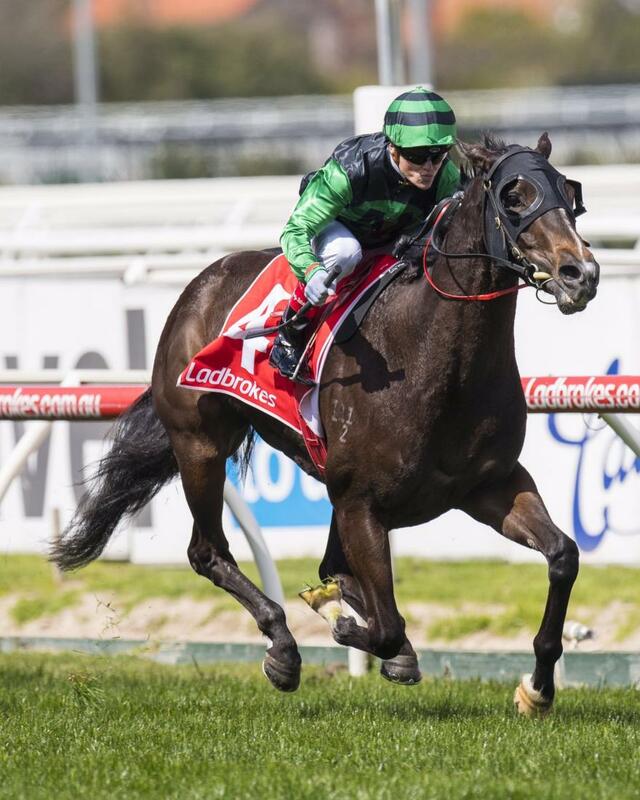 She is a main chance with luck and can win this edition of the Caulfield Cup. HELLBENT is my ride in race nine, the Caulfield Sprint, for Darren Weir. I was impressed with his last start win. He steps back in trip but still carries the minimum weight. This is no doubt a step up in class of opposition but the way he won the other day he will be winning this on his way to better races in the Spring. In the last race, race ten, the Moonga Stakes, I ride HOPFGARTEN for Robert Heathcote. I was impressed with his performance first up with the top weight. Again he has drawn a wide barrier so he will need some luck in what is a very competitive Group 3 race. The Set Weights & Penalties condition bring him in only half a kilo over the minimum so he won’t know himself carrying such a light weight. He is one of the main chances in this competitive race. I start in race one, with PORTION CONTROL for David & Ben Hayes and Tom Dabernig. He was successful at his first try at the 2000m last start at this course but it was a restricted race for Inglis purchases only. He now steps back into an open grade BM78 but I expect he has derived a lot of confidence from the win. UNBREAKABLE is my ride in race four, for John O’Shea and Godolphin. He is second up this preparation and his form from his first up run has been franked with the second horse narrowly being beaten at Flemington since. He has drawn ideally, has been successful at this course and I expect him to be very competitive. In race six, the Blue Sapphire, I ride RADCLIFFE for John O’Shea and Godolphin. His two runs in Melbourne have been sound and last start he was lucky to stay on his feet. He is going up in grade but the barrier draw and his improvement is telling me he will be in the finish. SEBRING SUN is my ride in race seven, for Darren Weir. He has been very competitive this preparation and he has come up with an ideal barrier draw, has the minimum weight and I expect him to be hard to hold out. 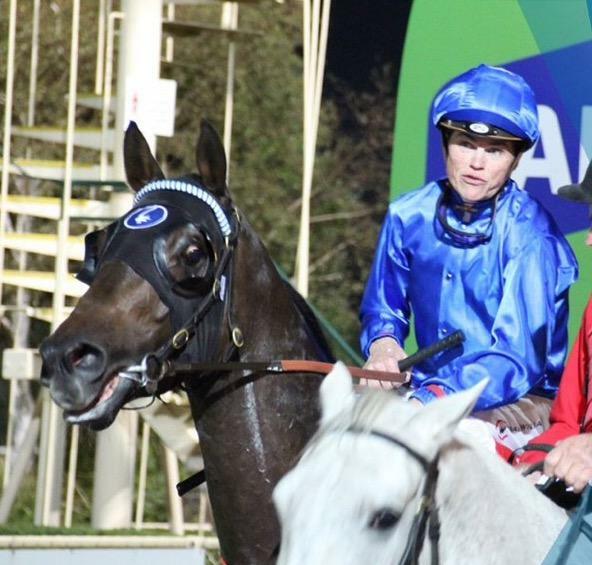 In the last race, race eight, I ride DULVERTON for Robert Smerdon and Qatar Bloodstock. I have been delighted with her last two performances at Moonee Valley. She now comes to Caulfield where the track will be a lot firmer. If that’s not a problem in this ultra-competitive Mares race she has the right form to be winning. I start in race one, with VERSTAPPEN for Danny O’Brien and Eales Racing. He was dominant and impressive on debut on the synthetic track. He was a forgive run next time out when he stepped up to Listed class as he pulled up lame after that event. He has trialled nicely for me coming into this race. It is a small but select field and I expect he’ll be the one they have to beat. ARTISTIC DESIGN is my ride in race two, for Lee & Anthony Freedman. This Master of Design gelding is debuting and he has trialled up nicely at Cranbourne in preparation for his first run. In race four I ride ALL THAT I KNOW for Robert Smerdon and Fairway Thoroughbreds. Her best performances have been at this track, this distance and slightly longer. I’ve trialled her coming into this event and felt she is very one paced and looking at her replays it looks like she performs better on race day than in her morning work. If she has matured and come on and keeps her affiliation going with this track she is going to be very competitive especially from the inside barrier draw. THE CHAIRMAN is my ride in race seven, for Mick Price. He is second up which has seen him successful before and he has also won at this trip. He closed off very nicely first up and I expect him to be riding the speed as he is a very strong galloper which should give himself every chance of winning the race, as the tight turning Cranbourne track will suit his run style. Race eight, the Cranbourne Cup, I ride BRING SOMETHING for local trainer Ken Keys. It is both our home town Cup and it would be a great thrill for both of us if we could win it. He resumed with an excellent run at Caulfield after being off the scene for almost a year. He had trialled well leading into that and if he has come on from that run he is going to be one of the horses closing off late. BULLPIT is my ride in race nine, the Apache Cat Classic, for Danny O’Brien. He is a very good sprinter. He has trialled very nicely coming into this but he has drawn an outside barrier. Being only 2.5kgs off the minimum gives him a nice weight pull off some of his rivals. There is a lot of pressure in this race but if he gets a nice run he will be there in the finish. In the last race, race ten, I ride FIRST COURSE for Ken Keys. He is a very solid galloper. He hasn’t won at the trip but he has been placed at half of them. He is always a bold running horse that puts himself forward in his races and he will be there for a long time. I start in race two, the Herbert Power Stakes with BIG MEMORY for Tony McEvoy. He was successful in this race two years ago. He has two runs this time in and he steps up to a trip where you see him run his best races. He is on the minimum weight and he is one of the main chances in this small but competitive race. CONCHITA is my ride in race three, the Thoroughbred Club Stakes, for Paul Perry. She is having her first run this preparation and first run in Melbourne. She has excellent form as a 2yo. She has trialled impressively coming into this winning her trial by 10 lengths. I will have to manage her speed as she is first up at the 1200m but if I can get her into a good rhythm and not do too much work from a widish draw she is a horse they’re going to have to run down. In race four, the Weekend Hussler Stakes I ride RAGEESE for Darren Weir. I think he is a very exciting horse. His first up run he closed off nicely and now steps up to a trip he enjoys. He has come up with an outside barrier draw but there looks to be a lot of pressure that hopefully offsets that and he will be closing off fast. SILENT SEDITION is my ride in race five, for Andrew Noblet. She resumes this preparation and I’ve been very happy with her two trials coming into this race. She has shown really good acceleration and freshness in her work and in this very competitive race I expect her to show a matured 4yo Stakes class mare. Race six, the Caulfield Stakes, I ride HE OR SHE for David & Ben Hayes &Tom Dabernig in this intriguing three horse race. He finished second to Black Hart Bart last start but we have never run into Winx. It is going to be an exciting race and I’m looking forward to being a part of it. In the last race, race ten, I ride STAR TURN for Team Hawkes. This is a WFA contest and being a 3yo he gets big weight relief from the older horses. His form is excellent especially this preparation and he has also performed well at Caulfield. I expect him to be winning this race. I start in race three with WINE for John O’Shea and Godolphin. He has the blinkers back on. He has come with an outside barrier draw and steps up slightly in trip. I am expecting the blinkers to really sharpen him up as he stayed on strongly last time but lacked a little bit of dash. I am really looking forward to see how he competes third up, and if he performs well, as expected, this could springboard him into some staying 3yo features during the Spring. WANTED TO SING is my ride in race five for Matt Laurie. I was impressed with her last performance. She handled the soft ground and I thought she was dominant without having much pressure put on her. She now steps up to a graded race against seasoned horses but the inside barrier draw gives her a favourable run for the first ¾ of the race and if she gets a run late I expect her to put back-to-back wins on the board. I start in race one, the Maribyrnong Trial Stakes with SPLASHETTE for Jarrod McLean. She has trialled nicely coming into this race and I am looking forward to how she handles down the straight for the first time. TRENCHANT is my ride in race two for John O’Shea and Godolphin. I expect him to be much improved from his first up run where it was reported he didn’t handle the straight. He has come up with a very favourable barrier draw and at a track and around the bend which saw him win his last two starts of last preparation. I am expecting a much improved effort and for him to be in the finish. In race three, the UCI Stakes I ride POSITIVE CARRY for Trent Busuttin & Natalie Young. His win was better than the margin shows at his last start win at Sale. I have had the experience on him and the step up in trip will benefit him. He has come up with a favourable barrier draw and I expect him to keep improving with the confidence and experience. This will find out where he sits on his path towards the VRC Derby. STRATUM STAR is my ride in race four, the Gilgai Stakes, for Darren Weir. He always races well fresh, he has been down the straight before and he is a Group 1 winner. He is well placed in this Set Weights & Penalties race being only 2kgs off the minimum and I expect him to be one the main chances. Race five, The Bart Cummings, I ride ZANTECA for Darren Weir. She has been a very consistent mare for me where I have had three rides on her for two wins. In her shorter races this preparation she has galloped solidly but that is usually after the winning post. Every time she steps up to this trip she is always at her best and I expect this to be no different here. We do have to negate the outside barrier draw but hopefully we can slot into a nice position. I ride CLASSIC DIVA in race six, the Edward Manifold Stakes, for Robbie Griffiths. She was beaten two starts ago in a Maiden at Sale but the winner subsequently came out and won a Group 2 race at Caulfield. She then won her Maiden on a Heavy track where she would have gained confidence and experience. The barrier draw should afford her an economical run. The step up in trip will suit her and this race will tell us where she is at for the Spring Carnival. RAW IMPULSE is my ride in race seven, the Turnbull Stakes for Darren Weir and Australian Bloodstock. He is a very exciting horse stepping up to a Group 1 race for the first time. He comes to this race full of confidence after impressively winning a Listed race in Adelaide last start. He has a wide barrier draw and he is a get back, run on horse and there doesn’t look like there is much pressure in the race, so that could be a concern. I’m confident the times he has run before gives me many options though. This will be a good guide where he fits in the Spring Carnival but I have no doubt he is up to this. Race eight, the Blazer Stakes, I ride ROCKOLICIOUS for Darren Weir and ATB Thoroughbreds. She has come up with a very favourable barrier draw and any rain would only enhance her chances. She is going to make her own luck from where she will be positioned and this is a great race for her to get some black type. In the last race, race nine, I ride HOPFGARTEN for Robert Heathcote. The stable is very pleased with his preparation. He has very good first up form and at the distance. He is a quality horse but we will need some luck from a wide draw but he is good enough to carry the top weight and win this event. I start in race two, the Breeders’ Plate with THE MISSION for Paul Perry. It is always an exciting race to see the 2yo colts step out for the first time. My horse has trialled nicely but he was slow to step into stride but I loved the way he lengthened and stretched out at the end of his trial. He has a nice draw and if he handles the occasion I expect him to be in the finish. OCTAVIAN AUGUSTUS is my ride in race four, the Dulcify Quality for Chris Waller. This a Class 1 race for 3yo, it is very competitive and my horse has come up with a very favourable barrier draw. He has been consistent through his whole career and I would expect him to be hard to hold out in this event. In race eight, the Metropolitan, I ride GRAND MARSHAL for Chris Waller. He is a great campaigner getting out to his right trip. Barrier one should see him get an economical run. He hasn’t won for a while and seems to mix his form but on his best form and out to 2400m he can win this race. AMOVATIO is my ride in race nine, the Premiere Stakes for Chris Waller. Her is resuming and has excellent statistics first up and at the distance. He does have to negate an outside barrier draw but by the end of the day I’ll know if there is any track pattern. I expect him to be hitting the line very hard as he always does. I start in race one with ZAHSPEED for Danny O’Brien. He’s won at the distance and at Moonee Valley before and I expect him to be improved from his first up run. DISSOLUTE is my ride in race two for John O’Shea and Godolphin. He has come up with a more favourable barrier draw second up and he worked strongly at Moonee Valley leading into this event. He is a horse I had a lot of time for as a 2yo and I’m looking forward to seeing his progression into his 3yo season. In race three, the JRA Cup, I ride MAURUS for Robert Smerdon and Waratah Thoroughbreds. He is a really nice horse. I trialled him on soft ground leading into this race and he gave me a very nice feel. If we get some rain and the track becomes affected that would only enhance his chances. He has come up with an outside barrier draw but I would expect him to be hitting the line solidly. GALLANT HARMONY is my ride in race four for John Sadler. He has excellent first up form. He has won at the track and twice at the distance. He has come up with a middle barrier draw and I expect him to be competitive in this even race. Race five, the Stutt Stakes, I ride TESSERA for John O’Shea and Godolphin. He is coming into this race with the blinkers off. I rode him last start at Flemington and I was delighted the way he went and felt he would derive a lot of improvement from that outing having his first time left handed. He has also galloped solidly at Moonee Valley in preparation for tonight. I expect him to take up a forward position and be very hard to run down. In race six, the Stock Stakes, I ride CLEMENCY for Robert Smerdon and Qatar Bloodstock. She has come up with a very favourable barrier draw. Her first up run was nice and she has won at the course and distance. It is important for her to get some black type but this is a very strong race and the WFA conditions suit the top rated horses but my horse will get a lot of favours from the gate and have an economical run. The blinkers go back on as well. SIR BACCHUS is my ride in race eight for Chris Waller. He is clearly the best horse in the race but is having his first run in Melbourne. He is a get back, run on horse so he will need a lot of luck from the inside barrier draw. If he does get the luck, he will be winning this race.